No excuses – our system is broken – on so many levels. Our law enforcement and jails are overwhelmed; mental health lacks funding; insurance carriers often deny effective treatments for mental illness because of the expense; and our public schools and social services are left with the burden of trying to treat our mentally ill and troubled youth with inadequate funding and staffing. I don’t blame mental illness for the country’s mass shootings. It’s much deeper than that. I blame our culture and our country’s shame and stigma surrounding mental illness and the need for too many Americans to put political or financial gain before our country and its people. The shame is so deep and pervasive, it enables people to ignore tragedy that unfolds right in front of our eyes. I feel the shame, too. I have a mental illness and so does my daughter. I’ve been shamed about it my entire adult life, while she has faced it all of her life. How, you ask, could a mental illness affect someone’s life so deeply? Have you ever felt unsuccessful or that you behaved badly? Did you want to feel that way? What if your bad behavior was a result of something you couldn’t control – like diabetes? Would you feel ashamed for being diabetic even though it was beyond your control? Would you feel angry, frustrated and confused if everyone – including health care professionals, teachers, parents, friends, the police – blamed you when you can’t help being diabetic? After all, you were born with it. What would happen if you were told hour after hour from the time you were a young child, that you were a bad person for having diabetes? Would you begin to believe it, even though it was beyond your control? What if at school, your parents were told that you would be a better child if they were better parents, even though they can’t control your diabetes? Imagine getting in trouble day after day and not understanding why. Would you be frustrated and confused? Would you begin to feel hopeless – like it wasn’t even worth trying anymore? Maybe you would drop out of school, hide in bed, smoke pot just to escape the pain, contemplate suicide. What if your parents tried to get you treatment but your school district refused to be proactive, only providing minimum supports until you failed, yet again? And, what if the school couldn’t provide you more support because it was steeped in red tape, lack of funding and resources? What if seeing a doctor or trained professional wasn’t enough to help you manage your diabetes? What if your family made too much income for effective treatments, leaving them with the reality of your potential death or cost-prohibitive treatment that health insurance denies? How would you feel? What if millions of people and youth are faced with this plight? Millions are. I don’t know the answer but what I do know is that we have to do better than this – as a country, as human beings. What are your thoughts? 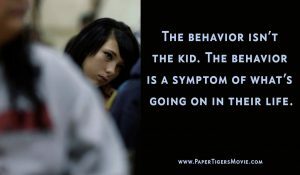 Learn more about youth behavior at www.LivesInTheBalance.org. Welcome to Bipolar Lemonade, a blog and website for families who have mental illness in their home. We hope to provide you some useful information and resources. We'd love to hear your story too. Click "Submit Your Story" at the top of the page to share.